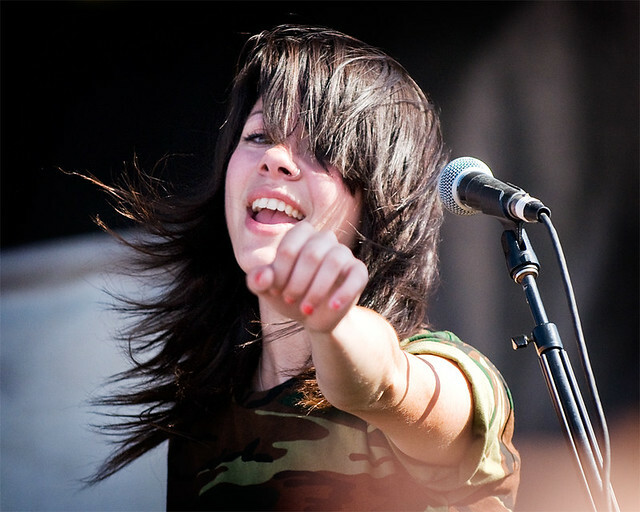 Taylor Jardine of WATIC performs at Vans Warped Tour last year in Irvine, CA. Yesterday, via Facebook, We Are the In Crowd announced that their new album Weird Kids will be released February 18th with pre-orders starting on Dec. 10th. And to celebrate, they've released the first single off that record called "The Best Thing (That Never Happened)" and it's available on iTunes right HERE. "I don't know that I've felt this way about our other records," says lead singerTaylor Jardine. "I've been proud of our band for finishing an album. I was happy we got it done. But I'm really proud of this record, and that's not something I can say easily...I'm as happy with it as I possibly could be." They've also just announced the dates on their upcoming US tour with William Beckett, Set It Off, State Champs and Candy Hearts. Those tickets go on sale to the public this Friday with their L.A. date on March 14th at Chain Reaction. Check out the tour dates below.